Comparing Paris to Sydney might seem as daft as comparing French humour to its British equivalent, given that one of the few things they have in common is the fact that both cities have been lucky enough to have me as a resident. Different hemispheres, polar opposite cultures and climates, and entirely contrasting philosophies regarding space. I’ve seen bathrooms in Australia’s biggest city larger than my whole apartment. No word of a lie. But finally, as of last Wednesday, there’s one thing that binds both cities together, making them artistic siblings in a sense – they both have outlandish concert halls to boast about. 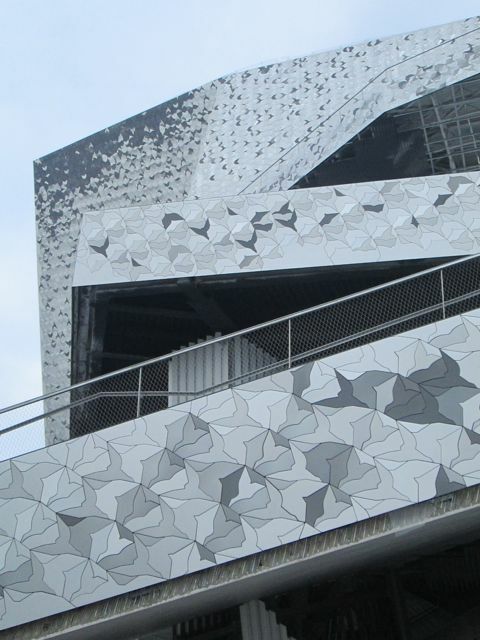 Located in the up-and-coming 19th arrondissement on the site of Napoleon III’s ancient slaughterhouses, the brand new Philharmonie de Paris is nestled in the south-eastern corner of the Parc de la Villette in the Cité de la Musique. It may not resemble mating turtles like its antipodean counterpart (as it is often described), but its space-age silver design definitely follows the trend for modernity when it comes to famous music venues. If we really want to stick with the mating theme, then it’s reminiscent of two giant, silver space creatures being squashed by a small meteor mid-coitus. Paris’ newest resident is the work of architect Jean Nouvel, the man behind two of the city’s other famous buildings, the Arab World Institute and the vegetative Museé de Quai Branly, amongst other global projects. And it’s closer to Sydney than you’d think since the acoustics were designed and calibrated by a two-man team, including Yasuhisa Toyota, responsible for the sound quality of Australia’s opera darling. Both buildings went seriously over budget too, though Paris only went a conservative three times over budget, compared to Sydney’s gulping fourteen and a half. 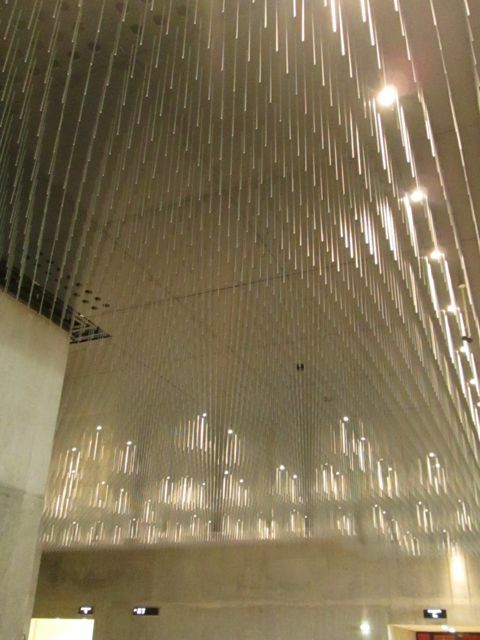 There were also similar dramas with the chief architects, both Pritzker Prize winners and demanding to a fault. Though Jean Nouvel saw his entire project through, Jørn Utzon didn’t have the same fortune, resigning before the completion of the Sydney Opera House and never seeing the finished building in the flesh. 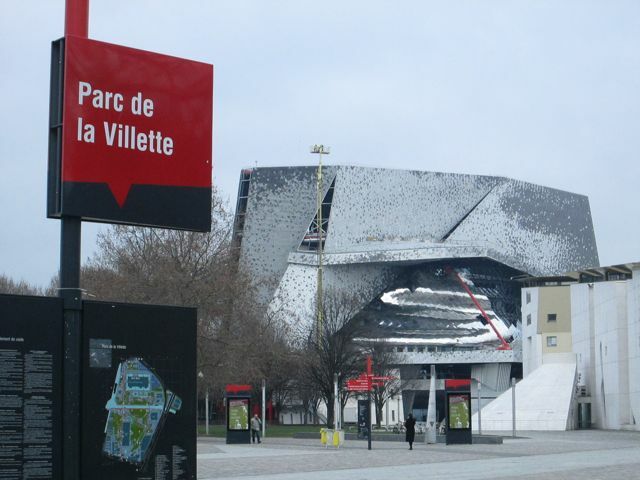 Both architects were notably missing from the lavish opening ceremonies (taking place on the 14th January in Paris), with Nouvel refusing to attend claiming that the new home of the Orchestre de Paris isn’t finished and has opened too soon. Diva behaviour maybe, but he does have a point – a week later and the cranes are still hanging around. 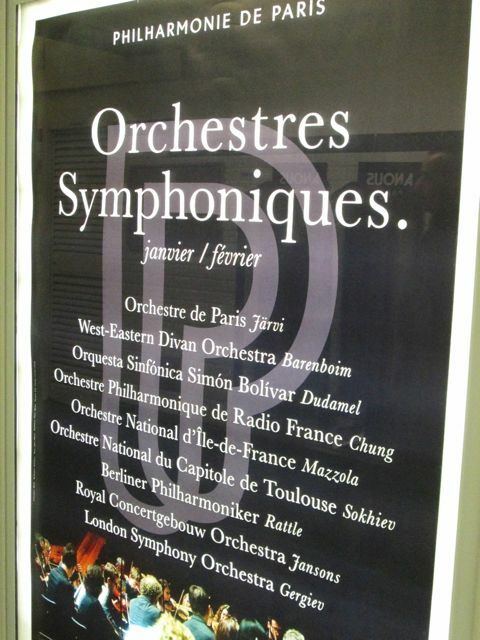 Francois Hollande was present though, enjoying the opening concert in the main 2,400 seater auditorium, whose acoustics have been described as ‘stunning’. The building also boasts educational rooms, two restaurants, six rehearsal rooms and an exhibition space. In an effort to reflect its modern, futuristic design (perhaps), the first exhibition to be held in it (beginning on 3rd March) will be a tribute to David Bowie, celebrating his life, music and unique style. If buildings were people, then Bowie this would surely be. 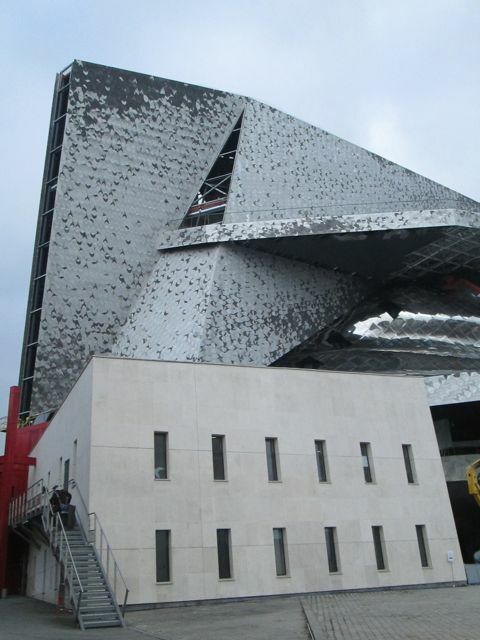 If you’re a classical music fan, you’ll probably be happy to pay the 50+ euros you need to spend to take in an evening of music, but for non-appreciators, it’s worth a visit anyway to take a look at Paris’ most weird and wonderful new addition. Modern critics have often accused of Paris being stuck in the past, its reputation nothing but a colourful shadow of golden ages past, but high in the corner of the 19th, it’s great to see a modern wave of culture finally taking hold. And if David Bowie’s on board, then I am too.